While the three new iPhones won't even be announced until Sept. 12 during Apple's fall event, case makers are already primed for the launch of the devices. 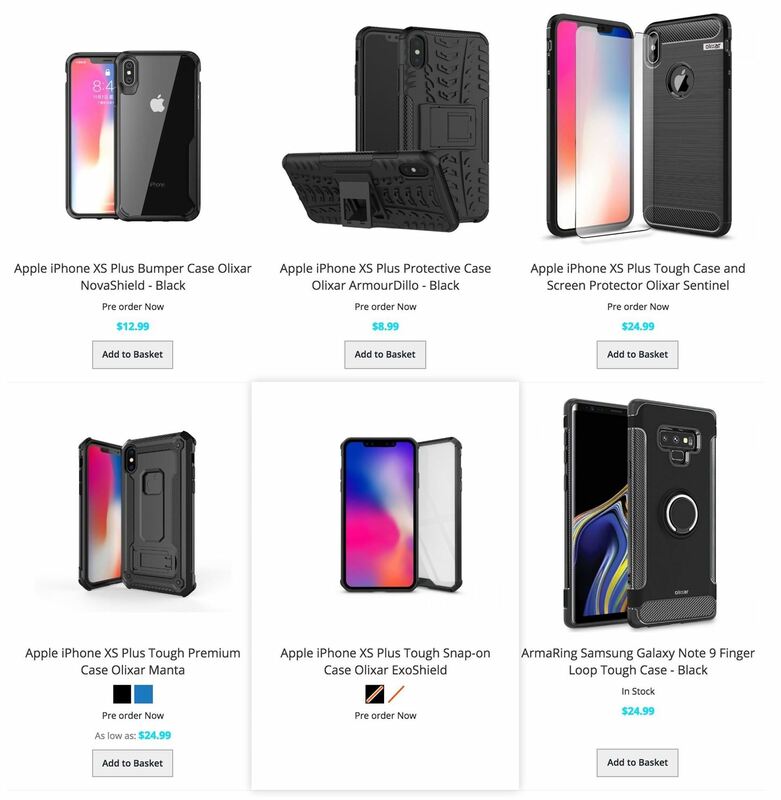 Some case designs are already live on manufacturer websites, and you can even buy or preorder cases for the iPhone XR, iPhone XS, and iPhone XS Plus to have right now or on launch day. Case makers have been threatened by Apple in the past to not hunt for details of upcoming devices and design their cases off any leaked specs. Any case suspected of using leaked specs would be barred from Apple Stores across the globe, but that's not really an issue these days since most people get theirs from Amazon, Best Buy, Walmart, and other retailers, as well as directly from case makers themselves. Presumedly, Apple dissuades case makers they aren't specifically partnered from making and selling cases as soon as the devices are announced because they would take a cut out of Apple's own profits for Apple-branded cases. A lot of users, like myself, will just buy an Apple case — or partnered third-party case — when preordering the iPhone anyway, so it's not like they are losing out much. Still, case makers will do anything to get the correct dimensions and sensor placements from insiders at Apple, Foxconn, and other sources. Some will pay hefty fees for leaked data, while others will just base their products on all the leaks that are revealed on the internet in the months prior to the big announcement day. One company, Totallee, has quietly added preorder pages for what they're calling the iPhone 9, iPhone XS, and iPhone XS Plus. The names themselves are still not known by anyone, with recent rumors suggesting the Plus model might actually be called "Max" instead. Also, iPhone 9 is still highly debatable since it's basically taking a step back from the iPhone X, and Apple doesn't strike me as the type of company to move backward. "Since 2013, we've successfully released iPhone cases ahead of Apple's announcement," claims Totallee. "We're so confident that we got our cases right again that we're offering a money-back guarantee." So while you can preorder cases for the 2018 iPhone models, they may not be a perfect fit, though, you can get your $25–29 back or return them for updated cases when the time comes. Some companies are even selling their 2018 iPhone cases right now, like Olixar, whose name you might remember for leaking screen protectors for the upcoming devices. 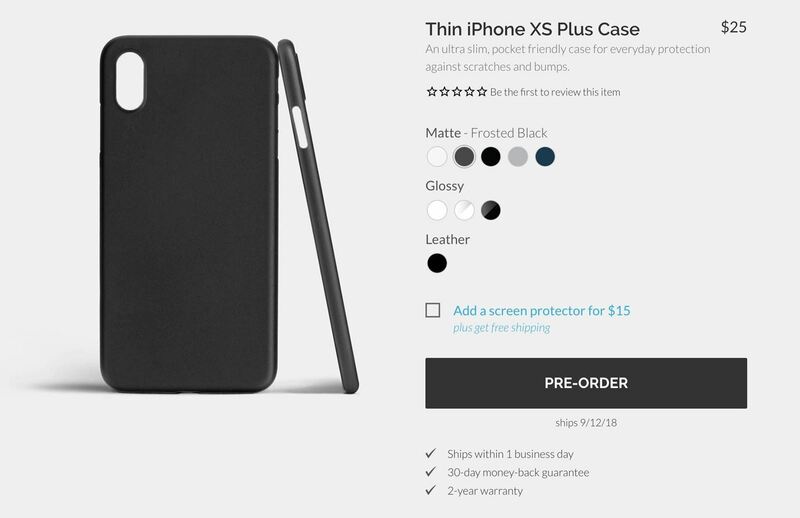 They currently have cases you can buy right now for the "iPhone XS Plus," ranging from $8.99 to $24.99, as well as a preorder one. 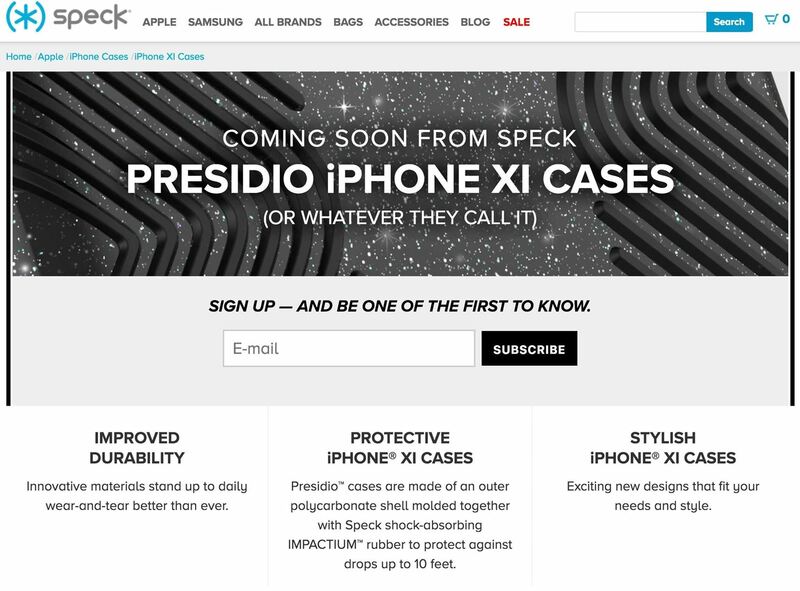 Other case makers, like Speck, have pages for the iPhone 9, iPhone XS, and iPhone XS Plus on their site available to sign up for notice when the products go live. However, since they don't know the real names either, they also have sign-up pages for the iPhone 11, iPhone 11 Plus, iPhone XI, and iPhone XI Plus to cover all the bases. Other case makers semi-ready for the new product announcements include AICEDA, ANOLE, Belka, Case-Mate, IYCK, KuGi, Lifeepro, Rokform, Seidio, and SLEO. And these are just a few. Pretty much any case maker that sells iPhone cases will have products ready for Sept. 12, the day Apple announces the new iPhone models. Reputable companies like Otterbox may wait until they get it right the first time, though they will likely have them available by the device's launch date at least. While you can buy some of these cases right now, or at least preorder them, we suggest waiting until you can at least preorder the new iPhone or your dreams. If Apple's own stock of cases isn't good enough for you, you can at least wait until you get hands on the device to order one from a third-party — just to make sure you're getting one that fits like a glove.